The activation of the Phi Gate as a planetary inter-dimensional gateway is to begin on February 27th of 2005 and complete (as a first stage opening) on March 18th this same year. What does this mean for the planet? What IS the Phi Gate in the simplest understanding? These are questions I have been asking myself since I began receiving information on this particular dynamic I am being guided to call the ‘Phi Gate’. The Phi Gate is the entry point into the planet for the New Earth Hologram. This Gate comes through the Star Capstone directly into the “crown chakra” of Hawai’i, which is the island of Kaua’i, and down into the roil point of the planet (all of the Hawaiian Islands with the center being Mauna Loa on the Big Island). Thoth: Through the Phi Gate the true phi geometry is organized into the New Hologram, which is infusing and growing the Maiden Grid. Once the Maiden Grid is completed (sometime between March 23rd and April 5th of 2005), “She” (the grid) will “give birth” to the New Hologram phi geometry, out into the whole earth dynamic. 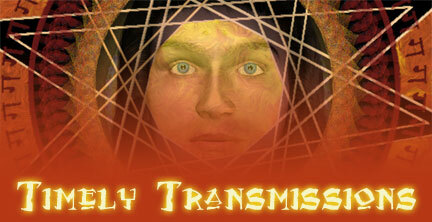 All earth and temple grids will be in receipt of this New Earth program of Light. The problem I have with imparting a more tangible picture of the Phi Gate dynamic, and indeed any of the dynamics of the planetary energy systems, is that they are so intrinsically interwoven. Each part blends one into the other. It is like viewing a crystal and selecting any one facet or sparkle within it in order to separate it from the rest. Perhaps the best way to reveal the light within the crystal is to see it as a whole element. The same with the FireGem matrix as a complete ‘engine’, germinating at the center of the planetary atoma and responding to cosmic interface with an updwelling energy thrust to the surface of the earth (through it’s roil point), where this energy, containing the planet’s ‘First Creation’ codes comes into contact with the electromagnetic realm of our surface world. The contact made, interactions begin automatically, which the codes direct; dissolving, building and transforming our realm for its re-connection to the whole system we call ‘planet earth’ and beyond. The Pi Gate then, is that pillar of Light which descends into our midst when summoned by the codes released from the central sun atoma. It creates a channel for supra-evolution through a new dimensional path that is not a branch of the current evolution – but a NEW form. This new form is presented to us as a Hologram of Light to be burned into our DNA: the New Earth Hologram. On March 5th of 2005 Spirit Heart Sanctuary will gather a small group of people here on Kaua’i for the purpose of consciously support the human element in this interwoven dynamic of the FireGem Matrix and it’s movement into the New Hologram receipt through the Phi Gate. The physical anchor point of the Phi Gate will come through Mt. Wai’ale’ale here on Kaua’i. A location on the island for our small gathering has not yet been decided, but it will be one which is especially conductive to the currents running down Wai’ale’ale to the sea. 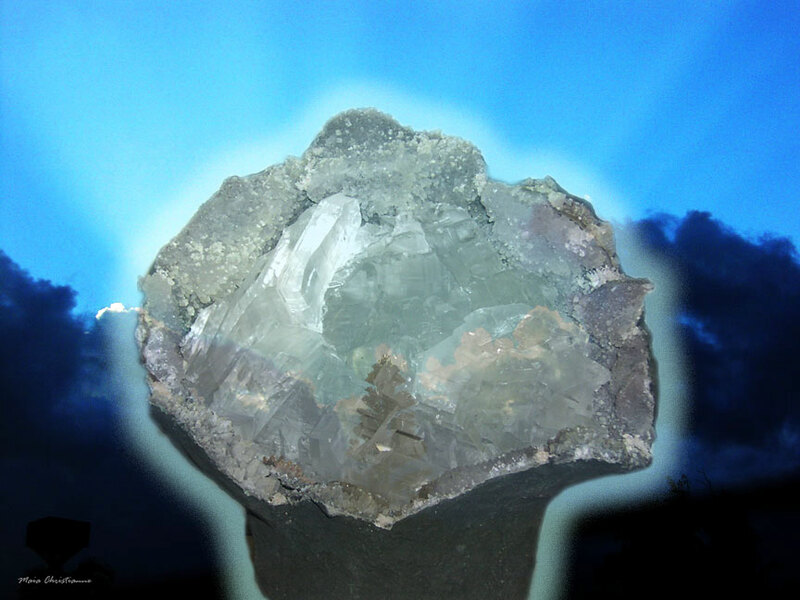 Spirit Heart Sanctuary been given a magnificent crystal geode weighing around 15-20 pounds, which will serve as a sending-receiving path for Spirit Heart Sanctuary’s specific work with the FireGem Matrix, and most specifically, the Phi Gate. It will find residence in our home here on 3 acres of land, where our house sits at the base of a hill. On the other side of the house is a small grove of trees. We see the hill as the ‘Tor’– a masculine aspect of the land, and the sacred grove of course, as the feminine enclave. In the midst of this small ‘Avalon’ nest, so the geode will rest. It contains quartz crystal, amethyst and large spears of selenite (a lithium crystal) within it. This is an extremely rare combination so we are told, as selenite is created quite differently than quartz, and it is extremely rare to find them together in one crystalline piece. My inner planes mentor Thoth has suggested that this crystal be named ‘IAO’, which in the Hawaiian language means “Supreme Light”. The first night the Iao crystal was in the house, I saw (in my mind’s eye) many brilliant crystal shapes and then Thoth, holding a double-termintated crystal in his hand and moving it over a circuitry of some kind. I knew that the Iao crystal was being calibrated and coded. We will also soon radionically (see psionics) charge it with specific corollary codes. To read about the role of the Amatrix Angels in the whole Phi Gate / FireGem Matrix dynamic, CLICK HERE. We invite those who feel so guided, to come and join us on the Garden Isle for this occasion. For those who cannot make it physically, we entreat you to participate remotely For a suggested procedure, go to the following link on our Spirit Heart Sanctuary website: CLICK HERE. When I requested from Thoth, a date for our Phi Gate Gathering, I was given March 5th. Sometime after having uploaded this page, it came to my attention that another channel, Celia Fenn of South Africa had received similar information. To read her channeling on the importance of the March 5th date in Hawai'i, CLICK HERE. Mar 5, Saturday. Mercury activated the March Equinox marker of zero Aries yesterday energizing a doorway of accelerated energy for exploring the mysteries of growth and self-exploration. Mercury remains in Aries until May 12 due to its retrograde on March 20. Mercury in the Aries domain operates through direct, decisive, assertive, courageous, and spontaneously inspired action. Aries is a fiery energy linked with the seasonal gateway of rapid growth. The letters of Living Light, or fire writing, are also activating in greater conscious awareness with this Mercury transit and retrograde through Aries. 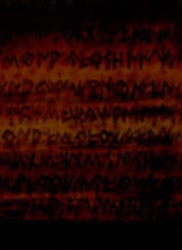 According to The Keys of Enoch these letters are first being seeded into the sub-conscious during sleep. This prepares us to unify all of the inassimilable geometries of the dark subconscious into divine letters. These divine letters educate the soul while it is sleeping activating more creative states of consciousness. If these letters shape the light vibratory structure of your body on a small scale, imagine how the divine Language can quicken your body of life to an even greater scale of creation where human language will be replaced by the Language of Light pictures. We have also learned that there is to be a world light anchoring at Mt. Fuji on March 6th.